As a Psychic Medium & Spiritual Counselor, Gail’s sessions & packages combine Reiki, mediumship, psychic intuition and angel guidance. These modalities help you to move forward on your path, especially from grief, trauma or PTSD symptoms. Learn to create more joy in your life by identifying unhealthy patterns rooted in your subconscious and transforming them. Vary based on the length of the session see services page for more details. Gail did some distance Reiki on me and it almost instantly relaxed my shoulder. Amazing! Hi Gail, really enjoyed your Angel Circle on Saturday morning! So glad that I went. I received interesting knowledge and insights to my creativity issue Hope to see you for a personal reading sometime in the near future ? My friend Dee Ann also thought the circle was great and brought her joy! Gail is the real deal! So kind, compassionate and right on track. My reading with her was super healing, answered some festering questions, and has helped me get back on track with my life and business. Thank you for this review but can you kindly tell me your name? I had my first session with Gail. I chose her because I felt drawn to her. I felt an immediate connection with her, she made me feel comfortable. She has a very loving and caring soul. I will definitely be going back. She was very through and descriptive. I would highly recommend. I’ve had several readings from Gail. I always find her warm, approachable, and kind. She gives great readings and lots of practical advice to help make the most of the information. Allow Gail to help you navigate life’s journey through the angel realm! Gail is by far one of the kindest, most caring and intuitive souls I’ve ever met. She has a warmth about her that really helps you focus and connect with those you are seeking. I’ve had a number of sessions with Gail and each and every time she brings about information that no one could just randomly know about me and my loved ones. 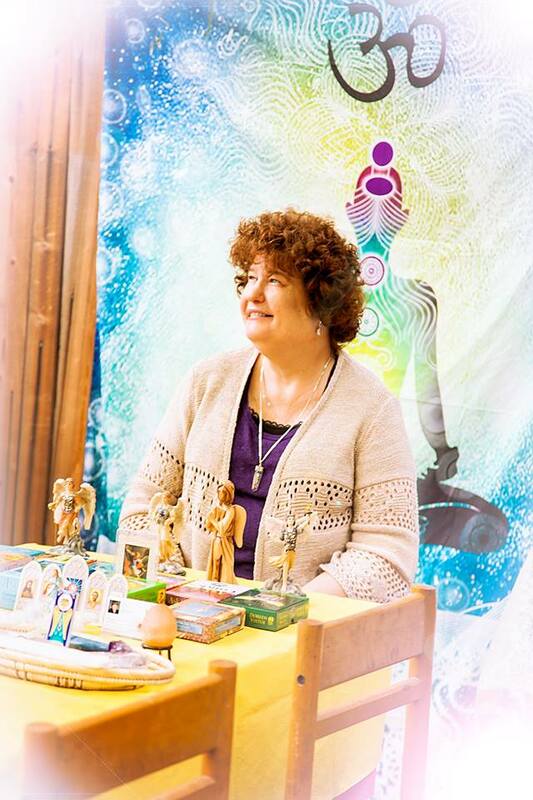 If ever you’re looking to connect with the spiritual realm and unveil the knowledge you’ve been seeking, whether through readings or simply through a meditative/centering session, Gail is the one to help you get there!! Gail Serna is a natural at connecting with the angelic realm. The information that she channels flows easily and the relevance of the message will strike a chord of authenticity. If you are looking for answers to questions or want to connect with someone who has passed over, Gail, with the angelic realm will not disappoint. My reading with Gail was amazing. She has a gift and a wonderful way of explaining difficult topics in a loving way. I look forward to future readings with her. I have had several readings with Gail over the years and she’s amazing! She has the ability to get straight to the issue and is able to offer guidance with accuracy and compassion. Her gifts have helped me immensely when I’m in a quandary regarding which direction to take concerning my career and my calling. After our sessions, I always feel incredibly uplifted, hopeful, and have the confidence I would not have otherwise had. I highly encourage other to seek Gail’s guidance! Gail has such a warm and loving energy she immediately put me at ease. I have a hard time trusting sometimes, so when Gail brought through information from a deceased family member, she backed it up with proof a couple of times so I was sure of who it was. At the time I had this reading I was in the middle of an extremely stressful and upsetting situation, and the information Gail shared not only helped me see this situation in a more positive light, it gave me hope for the future. And she was right…the Angel cards were spot on and the channelled messages were perfect. The situation I was going through has totally changed and is better than ever – exactly as she said it would be. I’m so grateful that I chose to have a reading with Gail that day and I highly recommend her to anyone that needs help.